Your message will be sent to Emil Alexander Schneeman. 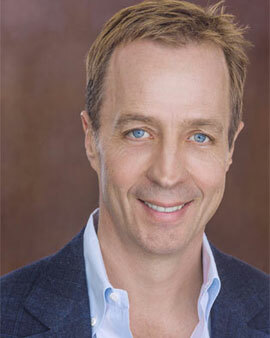 Emil has been selling Real Estate in Pacific Palisades since 1995. Emil is in the top 1% of over 56,000 Berkshire-Hathaway HomeServices professionals nationwide. He has set himself apart by being the number one top producing agent in his office at Berkshire-Hathaway Palisades for the last four consecutive years. As a sales associate with Berkshire-Hathaway HomeServices (formerly Prudential CA Realty) since 1999, his hard work and dedication to his clients was recognized in 2009 with The Legend Award as well as his continued recognition through the Chairman's Circle. Emil was born n Siena, Italy and raised in New York City by his Minnesotan parents. He attended the University of Colorado at Boulder where he received his Bachelor's Degree in Political Science. Emil moved to Los Angeles in the early 90's and immediately knew that he had found home. Soon after, he entered into the world of Real Estate where he discovered his true calling. Emil prides himself on his expert market knowledge and unparalleled commitment to his clients. He has earned a reputation for always putting his client's needs first under any circumstances as well as earning the respect of his colleagues. His transaction experience, attention to detail, and keen communication skills have made him a master negotiator for his clients whether they are buying of selling. Emil's passion for the Real Estate business is clearly reflected through his client base that continues to do business with him as well as trusting him with referrals to their business associates, friends and family. In addition to being a top producing agent, Emil enjoys time with his wife Brit and their three young boys. He actively coaches sports at the Palisades Recreational Center and AYSO Soccer league and is an active member in the community. Emil specializes in marketing properties throughout the Westside focusing on Santa Monica and Brentwood with a special emphasis on the community of the Pacific Palisades.